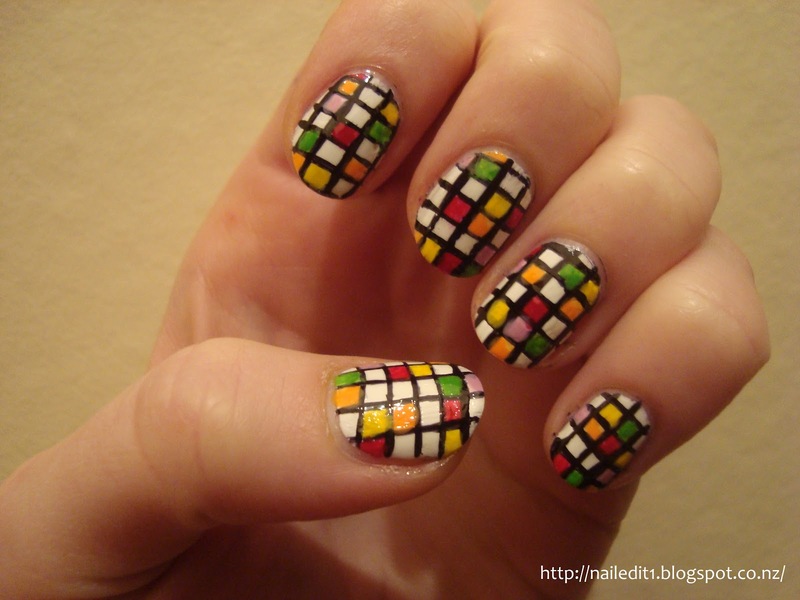 Well, I've seen similar patterns called disco nails anyway. And if I named them they'd be "stripey-bright-and-colourful-nails," definitely not cool. These took ages!! I used a striping brush to do the lines and just another more normal brush to fill them in with colour. I'd like to try them again with metallics - would be much more disco-ish, but that may have to wait for awhile as university is starting again tomorrow :(. In my last post I said that I couldn't get my stamping plates to work - awkward, I just didn't know they had a seal on them :o. Soooo they're working now! Very nice. I like it is so colorful.